Do employees open your network to cyber criminals by using hacked passwords? A whopping 25% of employees are using the same password for all logins. What if that password is available on the dark web? 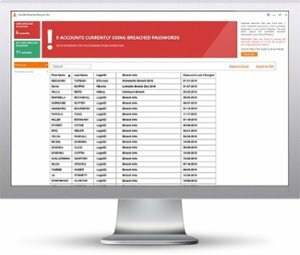 A massive amount of passwords are compromised due to data breaches and used by cyber criminals for attacks. Are any hacked passwords in use within your organisation?